Integral Surface Designs, re-defining industry standards and a company with a true understanding of product designs and customer requirements From its UK based manufacturing facility, Integral Surface Designs engineer an extensive range of made to measure vinyl wrapped, pvc edged, acrylic and natural feel doors and components for kitchen, bedroom,bathroom trade customers. An industry recognised sales and management team combined with skilled CAD designers and an optimised production system ensure a free flowing manufacturing process from start to finish. 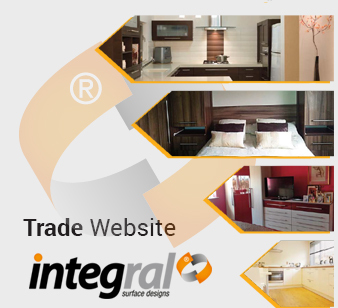 Integral Surface Designs - quality and values reaching beyond the visible surface.